With this RFQ, HESC seeks to acquire the services of a qualified full-service marketing firm to support its marketing and communications initiatives. HESC invites quotes from interested marketing agencies with experience in brand development and management; marketing; social media strategy, implementation, and management; website design and development; and market research targeted at students ages 12 to 24, as well as their parents, guardians, and educators. Preference will be given to vendors providing a broad range of services. The work to be performed will support HESC’s strategic communications goals, including enhanced visibility of HESC-administered programs and services, brand development and recognition, social media presence, web design and development, graphic design and content development for digital, print, and collateral material, multi-channel outreach; and branded material development and advisement on maintaining brand consistency. 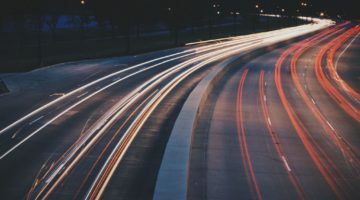 Many elements of the current marketing and communication activities may remain in place and the vendor will be expected to work to continue and improve these elements as well as recommend modifications or new products and tools as needed. New York State is a long-established national leader in providing need-based student financial aid and is home to one of the largest state, need-based grant programs in the nation. The Higher Education Services Corporation (HESC) is New York State’s student financial aid agency. HESC has a deep and long-standing commitment to providing New York State students, families, and educators with the information, resources, and services necessary to build awareness of all available college financial aid options and college affordability. HESC administers the need-based and merit-based grant, scholarship and award programs that benefit eligible resident students attending a degree-granting college or university located inside New York State. At HESC’s core are programs like the Tuition Assistance Program (TAP), Excelsior Scholarship and Enhanced Tuition Awards programs, and over two dozen other State scholarship and award programs. In 2016-17, HESC helped more than 354,000 students achieve their college dreams by providing more than $980 million in grants, scholarships and loan forgiveness benefits, including $917 million awarded through TAP alone. HESC is also the lead administering agency for New York State’s seven-year, $22.4 million federal Gaining Early Awareness and Readiness for Undergraduate Programs (GEAR UP) grant, awarded by the U.S. Department of Education in 2014. To bolster high school and college completion rates among traditionally underrepresented groups, the grant funds evidence-based supports to students from districts with low high-school graduation rates, beginning in middle school through completion of high school and their freshman year of college. HESC co-administers New York State’s highly successful 529 College Savings Program with the NYS Office of State Comptroller, and participates in outreach efforts to encourage college access and preparedness among New York State students. The value of a postsecondary education is unquestionable. The more than one billion dollars in non-repayable student financial aid available to New York State’s residents serve to help address both the gap in college enrollment between low-income and high-income households and the affordability of college for all households. HESC’s Communications Division is charged with helping to shape and implement the agency’s communications strategy in support of HESC’s mission. HESC has established, as a strategic goal, a commitment to becoming New York’s “go to” resource for reliable information on NYS student financial aid, and to building consumer awareness of college access, success and affordability. The vendor must demonstrate knowledge of and experience in developing and managing complex marketing initiatives that successfully establish and promote branding and identification with HESC’s target audience. HESC is constantly seeking the most effective ways to convey information to various age groups with engaging design that captures our target audiences and integrate more creative elements, such as video and interactive tools into our web presence. The vendor must demonstrate a thorough understanding of HTML 5, responsive design and other front-end web technologies as well as content management development. The vendor will develop interactive, web-based tools, such as the College Finance Advisor and the Loan Repayment Advisor. The vendor will work closely with the HESC Digital Information Officer and team members to develop specifications and make recommendations on the use of new and emerging technologies, such as mobile applications. HESC provides various brochures, fact sheets, posters and other print material that provide important information to our target audiences. The vendor will be responsible for the graphic design of these materials. Writing for print and the web, including for Search Engine Optimization, will be expected, as well as the development of video, web tools and other new media experiences. Skill and experience in these areas, as well as the ability to create for different audiences, must be demonstrated. HESC social media participation includes Facebook, Twitter, and YouTube. The vendor may assist in integrating these outlets into our overall marketing plans. HESC notes there is seasonality to financial aid program messaging as well as tailoring the strategy for each audience and participation level. Marketing materials range in voice from early student to graduating high school seniors, to college students. Strategy and planning need to be flexible as it is based on HESC’s marketing needs and new initiatives, as introduced. Strict adherence to agreed-upon project deliverables and deadlines is expected. HESC invites full service, broad-based firms, experienced in all media, particularly web-based interactive products, to submit a quotation. 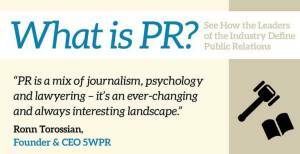 5WPR and Rubenstein PR are NY PR firms.